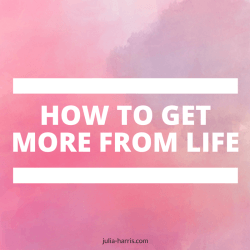 Do you believe you can get more out of life? Well I’m going to tell you! Think bigger than you have been thinking, believe bigger than you ever have! Set bigger goals, dream bigger and believe you can get more from life! Brighter thinking is about believing it’s your time and that you’re ready for it and seeing and feeling results… great results!! !